From the NZ creators of Zeus Plug and Zeus Blog, and just in time for Series 8, comes ZEUS POD (snappy title, huh? ), a 14-part Doctor Who podcast series discussing each episode of the new Doctor Who series as it broadcasts. The end of the year is upon us, and so Zeus Plug returns for a look back at an eventful year where the Doctor changed gender, the show changed runner and the Watcher changed employment status. Joining Jono to discuss this and the recent Christmas coda are The Doctor Who Show's Rob Irwin, and Beyond the Sofa's Peter Adamson. Featuring the return of the Omnirumour, Damaris Hayman & how Chris Chibnall is like Barack Obama. Welcome Number 13! Thanks to a clinical Roger Federer, the new Doctor has already been announced! Joining Jono Park on this special mini-episode to discuss the Thirteenth and the ensuing reaction is Neil Perryman. It's the end... and the puddle has been prepared for... Series 10 is wrapped, and it's time to set it amongst its peers and see how it stands on its own two cyber-rocket feet. Joining Jono Park to run through the fields of the latest season are Radio Free Skaro's Steven Schapansky, and Wife in Space's Neil Perryman. Featuring the official new Doctor predictions, the golden age of telly and the Sound of Ummms. Deserters, Ice Man Fridays, scrunched-up soldiers... All are welcome to this week's episode, where Jono Park is joined by Beyond the Sofa's Peter Adamson & Dave Ronayne to nut out if Empress impressed. Featuring no windows for Barbara, no mandate for May and no easy questions for the Regeneration Game (sorry Dave). Instead of discussing The Lie of the Land and the clickbait 'regeneration' this week , we're taking a detour to sit down for a chat with Sergeant Benton himself, John Levene who was recently in New Zealand at the Armageddon Expo. Features Pertwee's coupe, Delgado's nails and a rare prop rescued from a BBC dustbin. 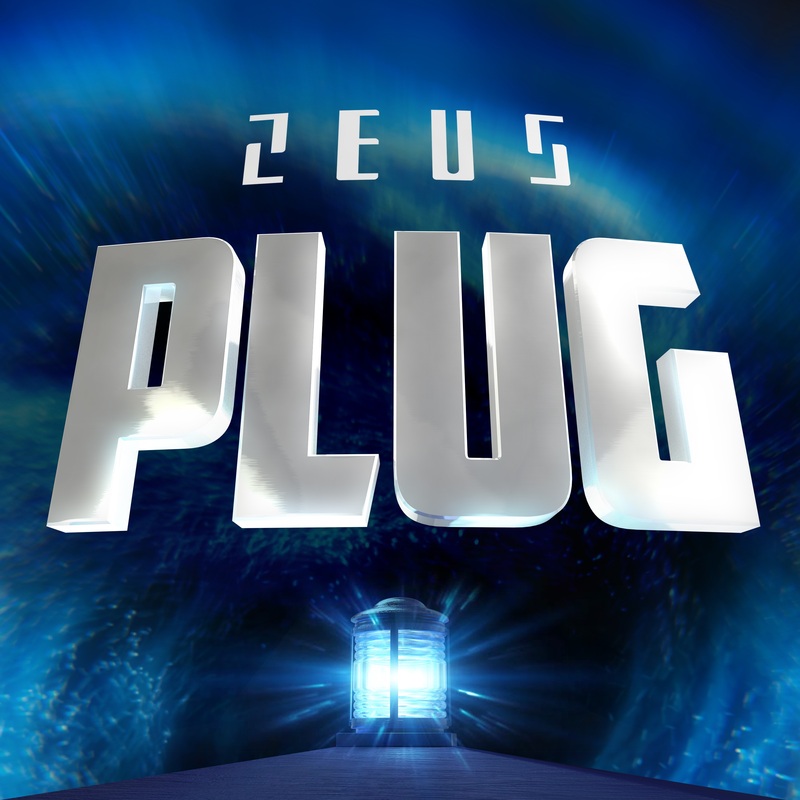 We're warning you now - this week's episode of Zeus Plug sounds like a real episode, but you'll find by the end of it that it's actually just a prelude to next week's episode which is in itself part of a three-part Zeus Plug epic. Maybe. Failing the Shadow Test with Jono Park this week are Neil Perryman & JR Southall. Contains someone that may or may not be Lalla Ward (or Polly James... or Zoe), Broadchurch broadsides and possibly the last What's in the Vault? After a mini-break busy recharging our air packs, we're back with a hiss and a roar as Oxygen is consumed for your listening pleasure. Joining Jono Park this week is Rob Irwin from The Doctor Who Show, and David Ronayne from Beyond the Sofa. Also contains Knock Knock in 5 words or less, sprouts and a Regeneration Game that defies belief by being even harder than last week's. Oh and we confirm what's in the vault. 100%. Doctor Who Series 10 steams onwards as Thin Ice arrives, but are the cracks starting to show? Will the episode get a frosty reception? Have we run out of ice puns? Joining Jono Park this week are comic strip whizz-kid Paul Scoones and NZ's only Mastermind contestant to have Doctor Who as his specialist subject, Jon Preddle. Featuring Inside Number 9, Deathlock and a startling missing episodes admission. One of our favourite ways to enjoy New Who is via #tweetnotes from script editor & writer Andrew Ellard. In a special one-off episode, we chat to the man himself on the process of deconstructing a story in 140 characters, hopes for Series 10 and beyond, and the high and lows of the new series. Smile like you mean it! Trees are replaced with emojis as Frank Cottrell-Boyce takes another stab at Doctor Who. Joining Jono Park to give it the thumbs up / grumpy face / aubergine are JR Southall from the Blue Box Podcast, and Dave Ronayne from fellow Kiwi Doctor Who podcast Beyond the Sofa. Featuring an easier-ish Regeneration Game, lemon linguine and Mondas. So much Mondas. The Pilot has landed! Jono Park is joined by Neil Perryman and Flight Through Entirety's Brendan Jones as they take on the opening episode of the new series / relaunch / soft reboot / Hard Brexit. Also featuring a tougher than expected Five at Ten, Tweets of the Week, killer chickens and Mystery Science Drag Races. The Pod becomes Plug as we return with a new name, just in time for a new season. It's a Commonwealth of guests to kick things off as Jono Park (NZ) is joined by Steven Schapansky (RFS / Canada) and Rob Irwin (The Doctor Who Show / Oz) to discuss the upcoming Series 10. Also featuring Project Whoway, Brexit, Tweets of the Week and the resurgent Oilers. The 60 Second Story Smackdown continues as we throw random DW stories together and attempt pick the best under pressure. Note the word 'attempt'. This episode, comics whizzkid Paul Scoones makes his choices - we'll warn you now... some of them are not pretty! Officially one of our 'easily digestible chunks' episodes. Enjoy. Targetastic - that in a nutshell is Zeus Pod 42. Coinciding with the recent reprint of The Target Book, we have a good old natter with its author David J Howe (also, we've heard, owner of a couple of Doctor Who toys). Beyond the Sofa's David Ronayne chooses his best and worst Target covers, and comic whizzkid Paul Scoones on when Target went off-target. Oh and Zeus Pod's Quote of the Day makes its debut. So put aside your mint condition copy of The Wheel In Space and relax as we bring you 124 pages of pleasant open faces. The 60 Second Story Smackdown returns with a bang - we're starting afresh so the Capaldi era gets a look-in, as withholding In The Forest of the Night from contention is surely unfair. Kicking things off is Blue Box Podcast's JR Southall. Officially one of our 'easily digestible chunks' episodes. Enjoy. We're back! Sorry it's only taken 7 months... ZP40 kicks off Series 2 of Zeus Pod: With Extra Seasoning, where two random seasons of Doctor Who are thrown into the arena, to be prodded & picked over by our panel of experts. No sides, no defence or prosecution - just the thoughts of three people, however wrong they may be. One thing that is for sure - one season will not leave alive. This month - it's cuddly vs crowded, ham-fisted bun vendor vs... well, ham, as we crash together Season 8 vs Season 19. Joining Jono Park is comic whizz kid Paul Scoones, and Blue Box Podcast's JR Southall. And the question is... did you ever have a wobble? New Who is here, and we've watched it (Jono bleary-eyed on a Sunday morning & Paul in SD with adverts). The title might be meaningless, but that's not stopping us as we do a scene-by-scene through the season opener with the occasional tangent or three. Keep an eye out for A-NACH-RO-NISMS... Joining Jono Park is regular guest and Who sage Paul Scoones. Welcome to Zeus Pod: With Extra Seasoning Episode 8, the last in this series. In each episode, two random seasons of Doctor Who are thrown into the arena, to be prodded & picked over by our panel of experts. No sides, no defence or prosecution - just the thoughts of three people, however wrong they may be. One thing that is for sure - one season will not leave alive. This month - it's shouty vs smug, gumblejacks vs paving stones, as we crash together Season 22 vs New Series 2. Joining Jono Park is Radio Free Skaro's Warren Frey and Verity's Deb Stanish! Contains the first use of flim-flam in a Zeus Pod podcast. Welcome to Zeus Pod: With Extra Seasoning Episode 6 In each episode, two random seasons of Doctor Who are thrown into the arena, to be prodded & picked over by our panel of experts. No sides, no defence or prosecution - just the thoughts of three people, however wrong they may be. One thing that is for sure - one season will not leave alive. This month - Pat Vs Matt with Season 6 vs New Series 7. Joining Jono Park are David Ronayne & Peter Adamson. Welcome to Zeus Pod: With Extra Seasoning Episode 5 In each episode, two random seasons of Doctor Who are thrown into the arena, to be prodded & picked over by our panel of experts. No sides, no defence or prosecution - just the thoughts of three people, however wrong they may be. One thing that is for sure - one season will not leave alive. This month, fish people vs a talking cactus - it's Season 4 vs Season 18! Joining Jono Park is Blogtor Who himself, Cameron McEwan & writer Paul Scoones! Welcome to Zeus Pod: With Extra Seasoning Episode 4 In each episode, two random seasons of Doctor Who are thrown into the arena, to be prodded & picked over by our panel of experts. No sides, no defence or prosecution - just the thoughts of three people, however wrong they may be. One thing that is for sure - one season will not leave alive. This month - Season 23 vs New Series 6. Joining Jono Park in the ring - it's a The Memory Cheats reunion, with Steven Schapansky & Josh Zimon! Contains honking handclap exercise music, granny-eating rubbish bags, Avery Brooks and the love that's slowly fading from a 'classic'. Welcome to Zeus Pod: With Extra Seasoning Episode 2 In each episode, two random seasons of Doctor Who are thrown into the arena, to be prodded & picked over by our panel of experts. No sides, no defence or prosecution - just the thoughts of three people, however wrong they may be. One thing that is for sure - one season will not leave alive. This month - Season 16 vs New Series 3. Joining Jono Park in the ring is Steven Schapansky & Neil Perryman. Contains many obscure British TV references, scringe-stone and some anti-Tennant Doctor smack talk. Welcome to Zeus Pod: With Extra Seasoning - our 8 part monthly series designed to help us through 'the wilderness months' until Series 9. In each episode, two random seasons of Doctor Who are thrown into the arena, to be prodded & picked over by our panel of experts (term used loosely). No sides, no defence, no prosecution - just the thoughts of three people, however wrong they may be. One thing that is for sure - one season will not leave alive. Joining Jono Park on this episode's (sort of) battle to the death (ish) is Paul Scoones & Peter Adamson. Warning: contains many attempted and not entirely successful sound effects (though the Carey Blyton horn stabs are really rather good, if we say so ourselves). In this special episode of Zeus Pod... FASHION! We wanted to find out how fashion trends were incorporated into Doctor Who throughout the years (if at all!) and which companions & Doctors would by today's standards be the most fashion-forward. To do this, we took acclaimed New Zealand fashion designer Dame Trelise Cooper through 51 years of outfits and got her critical opinion on what works and what doesn't. We created a fashion lookbook for Trelise, featuring all of the Doctors and the majority of companions from throughout the classic and new series, and we highly recommend you view this whilst listening via the photos section of the Zeus Pod Facebook page (https://www.facebook.com/zeuspod) So which Doctor and companion are the most fashionable? Who could be straight out of Marc Jacobs' latest collection? Who looks like Peter Pan? And which outfit could work on any red carpet today? You're about to find out... and the answers may surprise you. Welcome to Zeus Pod's 12 Days of Christmas - a series of 12 Christmas specials discussing... 12 Christmas specials! Joining a very merry Jono Park on this final part of the journey is Peter Adamson On the twelfth day of Christmas, Zeus Pod gave to me... Twelve Crabs a'hugging Eleven wooden spaceships Ten's final outing Nine wasted guest stars Eight TV Comics Seven Mr Coppers Six Shades of Cyber Fiiiiive new kidneys Fourth walls a'broken Three ripe satsumas Two cloud ladders And a shark swimming in the winter breeze!